Are you looking for the best iPhone apps for losing weight ? Losing weight is one of the most important things for healthy life. If you are conscious about your health, these health apps could be very useful for your iPhone because these apps help to you track and lose weight easily . Okay check the list of useful apps for losing weight. 1. 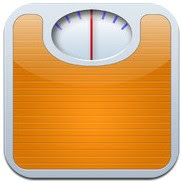 Calorie Counter PRO by MyNetDiary ( iPhone ) – One of the best diet apps for iPhone users and it can help you to reduce your body fat. Very useful weight loss app that has many useful health tracking options , including food planning with recipe creation feature, exercise planning with custom exercises option and beautiful comparing chart creation feature. Very useful and powerful diet app that comes with tons of features such as – over than 475000 food database, barcode scanner, daily and weekly health report, more than 500 exercises to lose your weight, weight loss target setting option, blood pressure tracking feature, before and after photos creation option and much more. Recommended app for health conscious people. 2. 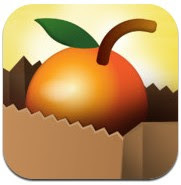 Lose It ( iPhone ) – Featured rich health app that can be installed free of cost on your iPhone. Lose it is one of the best apps for losing weight and it comes with tons of useful features. Lose it helps you set daily calorie budget, track food , weight and exercises and monitor on your health. Very useful fitness app that is integrated with lots of useful tracking features such as food tracking, exercise tracking, calorie counter, powerful barcode scanner , food & exercise planning option, recipe builder and more.One of the most useful health monitoring app and it lets you set your weight loss goal and after setting up your goal, Lose it will create custom weight loss plan for your daily life which could be very useful to lose your weight. 3. 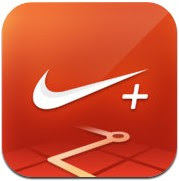 Nike + Running ( iPhone ) – Nike + Running is an essential app for iPhone users. If you want to reduce weight and track your progress, this fitness app would be very useful for your device. One of the best free health apps on the App store . With the help of this health app, you can monitor your health progress and activity easily from your iPhone. Great app for health conscious people. 4. Fooducate ( iPhone )– Fooducate is a beautifully designed health app that is very useful for health conscious people. If you are looking for a diet partner, this app would be the best option for your device. The app helps you choose perfect foot for healthy life, track your health activities and get lots of health related information. Very useful app for losing weight. 5. iTrackBites Plus ( iPhone & iPad ) – Point Calculator is a useful diet app that helps users losing weight by tracking and planning food. This app helps you choose food items from food database, create and maintain list of your favourite food items and see beautifully designed reports. 6. Calorie Counter & Diet Tracker ( iPhone ) – Calorie Counter & Diet Tracker is a useful and powerful free health app that lets you lose weight and track your health activities. 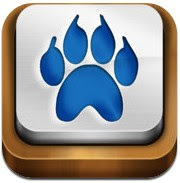 Highly recommended app that is available free of cost on the App store. With this app, you can count calories of your food items, track diet and weight , search more than 3000000 food database, scan barcodes, view more than 350 useful exercises for healthy life and set goals to get detailed reports with charts.